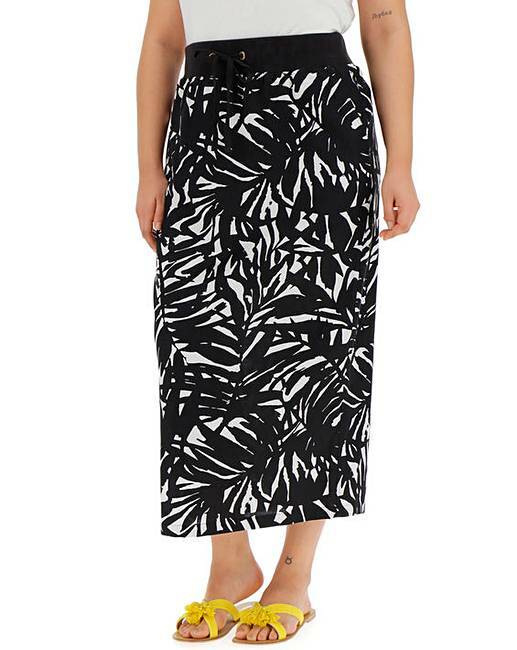 Print Slouch Linen Rich Maxi Skirt is rated 3.8 out of 5 by 4. 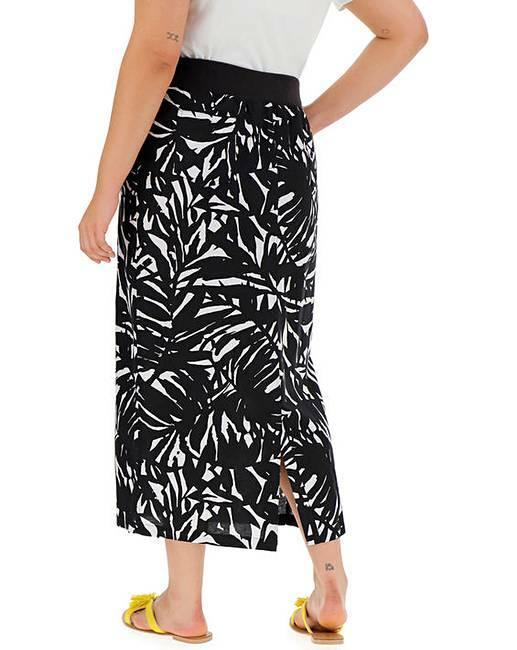 This slouch linen-mix maxi skirt is a must-have in every woman's wardrobe. 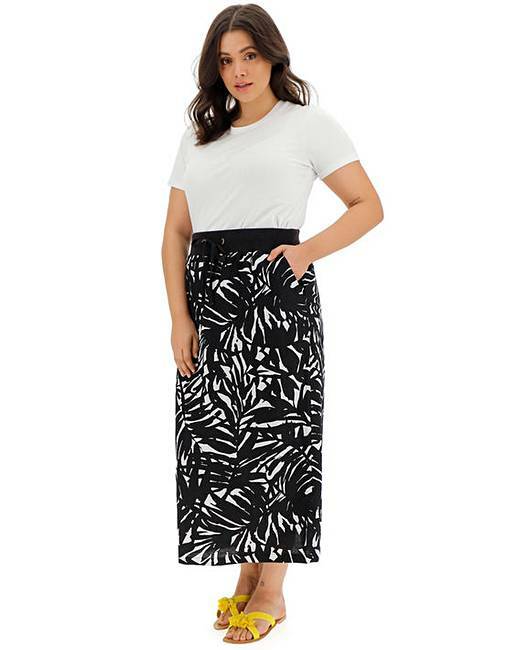 Made from a soft, light linen-mix fabric, this skirt promises to keep you cool and fresh in that scorching summer sun, meanwhile the stretch ribbed waistband and adjustable drawcord ensure maximum comfort and fit. The two back patch pockets and front slant pockets add a practical finishing touch, while the loose fit to the legs provides a relaxed feel. 50% Viscose, 35% Cotton, 15% Linen. Rib Trim: 95% Cotton, 5% Elastane. 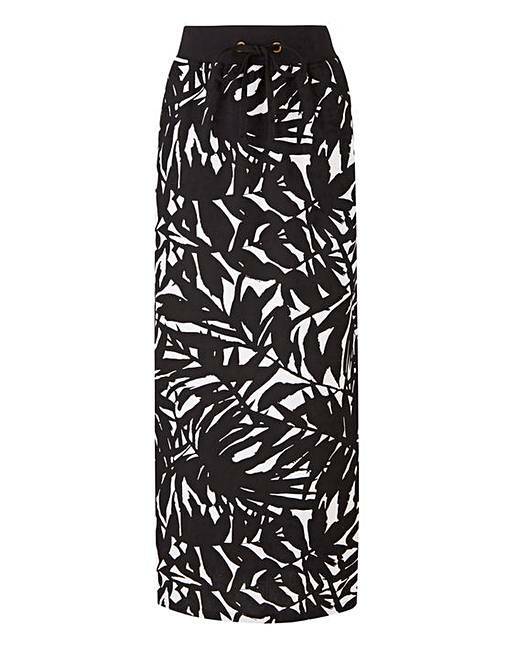 Rated 4 out of 5 by Weazie from Comfortable and casual Bought this skirt for when it's warmer weather to wear for casual times. It's too long but most skirts are for me. Will be taking it up. Otherwise it's comfortable and what I expected. Material feels good quality and pattern ideal for spring and summer. Rated 1 out of 5 by Tumbledora from Casual skirt Looked promising from the photo...too , too big and odd length on me. Returned.